Twenty three weeks through the year. Which means that I have managed to link up with What The Redhead Said’s Living Arrows Linky for 23 weeks now! I am so impressed I’ve managed every week. I always try to post it on a Monday, but life, bank holidays and ill-health sometimes get in the way of that! I’ve been looking back through old Living Arrows posts, and it’s wonderful to see how much Isla has changed in such a short space of time. And that is what the Living Arrows linky is about – celebrating childhood. Well, I think I well and truly jinxed us when I said the other week that Isla was sleeping really well now, and she would fall asleep quickly after her bedtime bottle. Cos she’s been a right pain in the bum since then! Staring up at the ceiling for bleeding ages and refusing to go to sleep. Nap times? Pfffft! We’ve had some right crappy ones recently, where she can take 2+ hours to go to sleep, despite being exhausted…and then only sleeping for a really short time! I tried letting her cry it out in her cot one day last week, but after 45 minutes of screaming, and a really big poo (from her!) I gave up. On Tuesday, however, she had a really good nap, after finally going to sleep having gone for a drive! Afterwards she was a very happy girly. That morning we’d gone out for a walk so that I could pick some elderflowers so I could make some cordial. When Chris came home we went out for another walk as the weather was nice (unlike right now!!) and I picked some more elderflowers so that I can make some elderflower lemonade at some point. Keep an eye out for the recipe coming soon. 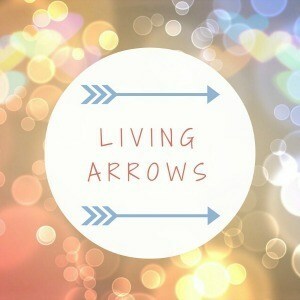 Anyway, this weeks Living Arrows photo was taken on this walk. 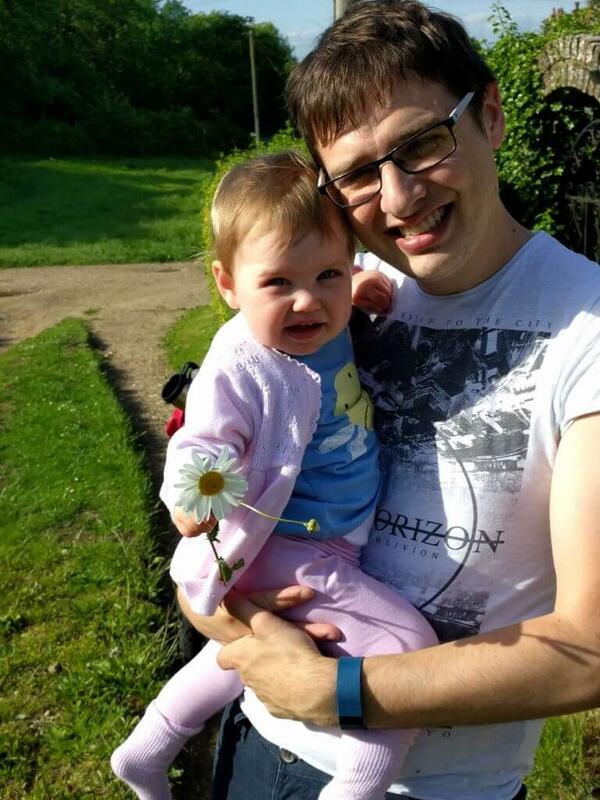 She was having lots of cuddles with Daddy, and was looking at all the flowers around. 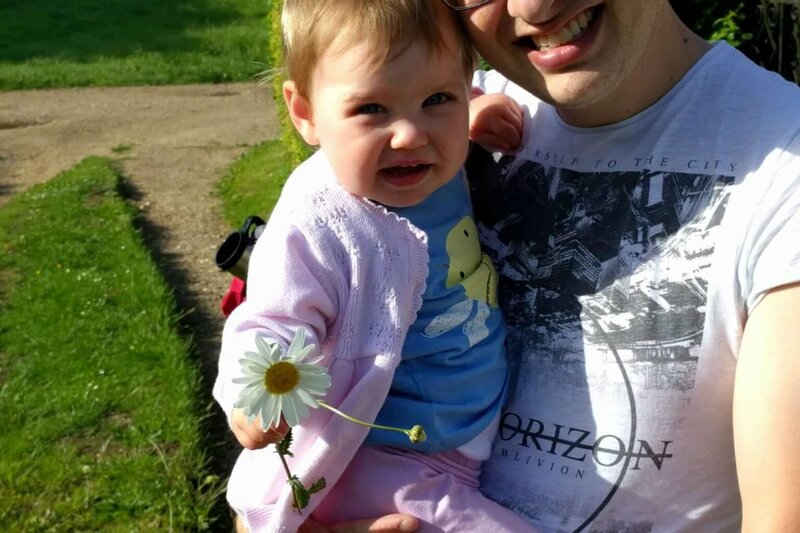 I’d picked this flower for her, and she loved playing with it..until she dropped it half way home. I did laugh when I looked back at this photo, as there is a really light section of Isla’s hair at the back left (as you’re looking at her), and I couldn’t figure out whether it was the sun shining on her, or where she’d smeared yoghurt all in her hair. Both are distinct possibilities!! We had a lovely weekend at my parent’s this weekend. My Grandad came over for the weekend so that he could see Isla. No one ever wants to see me and Chris anymore, they just want to see Isla. It’s a fact I’ve accepted now. And my brother popped in for a few hours on Sunday too. It was really nice. I think Isla really enjoyed the long corridors at Mum and Dad’s, and having so much space to run around. Plus, she had so many more people to help her walk around! Not that she needed much help by the end of the weekend. Her confidence in walking really grew over the weekend, and she was walking so much further than she ever has done before. And often without any prompting either. At times this didn’t end well, and she currently has a big bump and bruise on her forehead, but I’m sure over the next few months we’ll have a fair few of those! No-one comes to see anymore either, apparently we’re very uninteresting compared to the little one!! Sounds like you made the most of the nice weather, I love elderflower cordial but I’ve never tried making it before so I’m very impressed! Haha it’s so true – no one cares about the adults when there’s kids to come and see! My daughter seems to fall over daily at the moment (14 months). It is lovely to see them learning to walk and growing in confidence but my nerves are in shreds!! Visitors stress me out But it’s definitely easier to have people round ours where there are toys then go round to friends where my baby can cause havoc! Look like you guys made good use of the weather! I feel so guilty when I work from home and I have no time to take her out. My family are exactly the same – no-one wants to see me anymore, it’s all about the children! I love the learning to walk stage, lots of bumps, but so much fun to see them work it out!